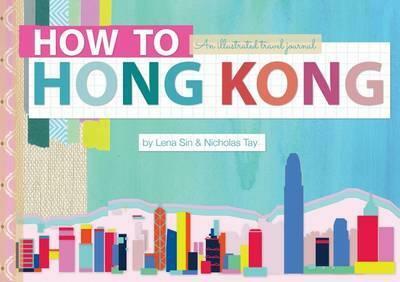 In this joyful travel sketchbook, Hong Kong is captured through the hearts of a writer and an artist. From the winding, incense-filled streets of Sheung Wan to the pandemonium of a wet market in North Point to the sleepy island backwater of Tai O, Lena Sin and Nicholas Tay take you on a wonder-filled journey that shines a light on the softer, more romantic side of this chaotic city. Filled with tales of growing up in Hong Kong, Lena weaves personal anecdotes and conversations with locals into richly illustrated watercolours and photographs by herself and her artist husband Nicholas. The result is an intimate portrait of a city that is at once vibrant and energetic as well as charming and nostalgic. Lena Sin is a journalist who was born and raised in Hong Kong. However, her first love was always art and she spends much of her time illustrating in watercolour, often while downing copious amounts of milk tea. She is a two-time Jack Webster Award nominee for her journalism. She lives in Vancouver. Nicholas Tay studied illustration at Art Center College of Design in California. This education prepared him for a lack of sleep and his career as an art director and artist on several video game franchises including Need for Speed, NBA Street and SSX. Recently, Nicholas has added fine art gallery shows, teaching and advertising illustration to his area of play. He lives in Vancouver.